Who’s got the moves? Ava Cota, of course. But the 16-year-old has also got serious acting abilities...and singing skills....and she’s mastered the art of modeling. Cota first stepped into the public eye when she was featured as part of the Junior Select Ensemble on Lifetime’s Dance Moms. After leaving the team, she competed against ALDC as part of Candy Apple’s Dance Center and her mother’s studio, JC’s Broadway Dance Academy, for five seasons of the series. In 2016, she danced on So You Think You Can Dance: Next Generation, and has been training with top industry choreographers since then. Currently, Cota is a working model in Los Angeles and New York and has walked the runway for prominent designers worldwide. But most importantly, Cota continues to use her celebrity status to raise awareness for cyberbullying, something that has impacted her profoundly in the past, especially during her time on Dance Moms. Read Cota’s interview below to hear more about the rollercoaster of her life. When did you first discover you had a passion for dance? At a very young age! I started dancing at age two but probably realized I wanted to be a professional when I was eight. What’s your favorite style of dance and why? Ava: Contemporary. I feel like it’s really a fusion of all styles and I love that you can tell a story through your movement. 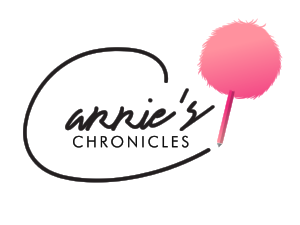 Carrie: When you were on Dance Moms, you spoke a lot about being bullied. What does it feel like to be bullied and how did you rise above it? Ava: It’s a terrible feeling. Most of my bullies were online and I could not believe the things that they were saying. It’s hard because a lot of people say to block out the haters, but from my point of view, that’s impossible. As humans, we take in every word that someone says about us and blocking them out is not dealing with them. The thing that helped me get through the bullying was finding self-love. It‘s an amazing thing because once you have this, you are confident enough in yourself to know that those comments don’t matter and you are perfect just the way you are. Carrie: What is the most important lesson that being on Dance Moms taught you? Ava: If you love something, go for it and don’t let anyone tell you that you can’t, are not good enough, or don’t fit into the mold they have created in their heads. If you love something enough, you can do anything! The experience on Dance Moms made me so strong. Carrie: What advice do you have for people who struggle to overcome bullies? Ava: Find self-love and surround yourself with people who love you and lift you up. Also, make sure that if bullying is going on, talk to someone about it. Holding these things in is one of the worst things you could do for yourself. Carrie: Do you see yourself as a role model for young women? Ava: Yes, for sure. I think that my platform comes with a huge responsibility to influence and inspire young women. My message is to practice self-love and I am now touring around the U.S. to spread that message. It has been one of the best experiences I‘ve ever had! Carrie: Who is someone that inspires the way you go about life and why? Ava: My mom because she is just simply the most amazing human being ever! Carrie: Since Dance Moms ended, your modeling career has really taken flight. How do you believe it has skyrocketed over the years? Ava: Well, I have definitely skyrocketed in height...lol. It has been amazing! I absolutely love runways and have built some great relationships with big designers. I am really excited to see where my career in modeling takes me! Carrie: What has been the most exciting moment of your modeling career thus far? Ava: I would probably say the Amazon show for NYFW was one of the coolest runways I’ve been a part of. Ava walking for Rc Caylan Atelier at New York Fashion Week. Ava walking for USHAMA ISHTAY at Los Angeles Fashion Week. Carrie: You’ve also been venturing into music lately! What have you been up to? Ava: I actually have an EP coming out very shortly! I wrote the entire thing and cannot wait to share it with fans. Carrie: What are your other future plans? Ava: To continue to be a positive influence and inspire others as my career unfolds.